Landlocked Zambia received some good news Monday as South African transportation firm Grindrod has committed to build a new 590 km-rail line, which will connect the country's vast copper mines to the Atlantic coast. The close to $990 million project, reports Railwaygazette.com, will link the African nation’s largest copper mine by output, Kansanshi Copper Mines, as well as Lumwana Copper Mines, to the railway network of neighbouring Angola. 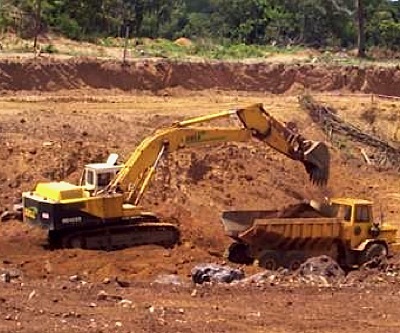 This way, Canada’s Barrick Gold Corp. (TSX:ABX) and First Quantum Minerals (TSX:FM), which own the benefitted mines, will have a direct railway connection to the port of Lobito, on the Atlantic side. Currently, most of Zambia’s copper is moved by truck to ports at Dar es Salaam and Durban in South Africa. Grindrod believes that taking the metal by rail will probably be cheaper as trains use less energy. The rail line to the Angolan border will also allow Zambia, Africa's top copper producer, to import oil from Angola.